If you sell on Amazon, then you probably vividly remember one year ago, when Amazon dropped the bombshell announcement: that it was banning incentivized reviews. At the time, this game-changing policy had many Amazon sellers in an uproar. And understandably so! For many, getting samples of their products into the hands of consumers –who were more than happy to leave a review in exchange for the product or payment, was a key part of many companies’ promotional strategy. But one year on, what’s changed? Have these changes impacted Amazon sellers as much as previously thought? Amazon.com’s third-party seller market is extremely competitive –with millions of sellers from over 100 countries selling nearly 30 million products. The marketplace has been experiencing a rapid growth from China and Hong Kong in particular. One practice that Amazon sellers would turn to in order to build up credibility was using incentivized reviews. Love them or hate them, there’s no arguing that it was an effective way for companies to get the word out about their products and services. But as of October 2016, Amazon.com began banning incentivized product reviews. This ban included both the practice of paying for reviews and sending people free or even discounted products to review. Amazon’s reasoning behind this was clear: to curb the flow of fake reviews that blurred the line between high-quality and poor products. 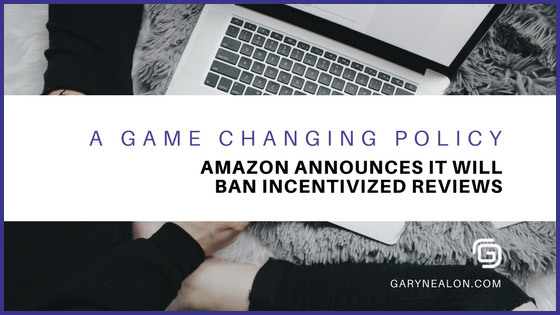 Amazon’s announcement went on to say that they were banning incentivized reviews, except through their review service Amazon Vine. But despite this many alarming reactions to this change in the Terms of Service, it seems that this policy change was a positive step for Amazon. This policy has, in many ways, helped to level the playing field, benefiting real entrepreneurs, and makes it harder for opportunists to capitalize on the previous system. It appears that Amazon had enough supporting data to determine that there was a breach in the integrity and authenticity of the product reviews. The previous policy of allowing incentivized reviews became a potentially misleading part of the buyer’s decision-making process. According to Review Meta, incentivized reviews overall, had scored higher than non-incentivized reviews. That’s shocking, when you think about it. When a buyer would make a purchase from Amazon, based on customer reviews, in theory, they were basing their decision off reviews where 1 out of 2 has received some sort of compensation to review the product. At the time of the change, we had selected four of the larger seller review companies, and asked for their reaction to this update. All four of these companies made it perfectly clear that they intended to abide by the new terms and conditions announced by Amazon. com Llc, based out of Fort Lauderdale Florida, informed its members that they were no longer obligated to leave a review and also provided links to the Amazon pages that communicated the change in policy. They also announced that they would be pausing all campaigns for the next 48 hours to make adjustments to their website and to get more clarification on the update. At the end of the post, they stated they would resume and continue to run campaigns to assist in driving sales moving forward. Honest Few made it clear that buyers are not required to leave a review to receive a discount. Honest Few even made a sales pitch indicating that it is now more important than ever to use them so that they can help promote your product and drive sales. They also announced they will move forward as a sales platform. They also provided links back to Amazon, so their audience can confirm the changes. 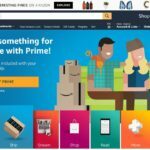 Review Kick, a company founded by Greg Mercer; founder of com,Splitly.com, and Fetcher.com also made it clear that they were working overtime to assure that they are in full compliance with Amazon’s terms of service. Throughout their explanation, they assured us that their members are no longer required to leave reviews. They too, were in mind mapping mode to determine how to reposition themselves amidst the change. Amazon Review Trader gave us the vaguest response to the recent change in the TOS in comparison to the other three. They mentioned that buyers could continue to buy products and it was entirely up to them as to whether or not they wanted to leave a review. They also mentioned that there are some exciting changes coming up as they evolve. There’s a lesson for entrepreneurs to learn from how each of these companies responded. Primarily, that even major policy changes don’t have to spell the end. For entrepreneurs; resilience and the ability to shift and keep up with change is key to survival. 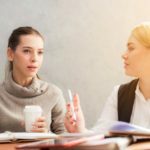 It’s also worth noting that –as with the case of the above-mentioned companies, being able to prepare and deliver a succinct and well-written response to any media inquiries is key to mitigating potential PR disasters! As the change to policy showed, it’s important for entrepreneurs to diversify. Just as you should diversify your investment portfolio, diversifying your e-commerce business will help to prevent you from being held hostage to policy changes. It will also increase your web presence; allowing even more people can find you. There’s no reason for a company to commit to selling solely with Amazon, or any other company for that matter. With this in mind, let’s look at a few ways that ecommerce companies can sell online. The first and most obvious choice is to build your own website with e-commerce capabilities. This option would give you the most control and options. However, there is a price to pay for this unrivaled control and freedom. 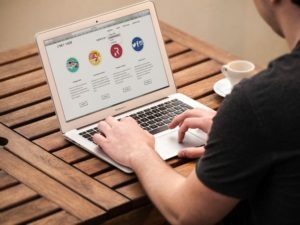 You will need to consider the cost of setting up, designing, and managing your own website, as well as the significant time commitment required to do so at a high level. Finally, there’s the issue of promotion. 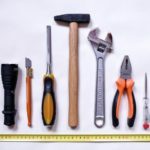 E-commerce platforms offer one distinct advantage to DIY stores –they come with a built-in customer base. With a platform, there’s a much higher chance of your audience finding you; whereas if you’re doing your own webstore; you’ll need to spend a lot more time, and money on marketing and advertising campaigns. Another option is to jump across the river to eBay. If you have been on Amazon, moving to eBay would be an easy transition. However, just like Amazon, their policies are subject to change as well. 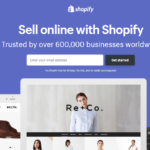 You could also take can also take advantage of some of the e-commerce platform sites such as Shopify, Bigcommerce, Volusion, and Wix. These are four of the larger and more popular sites, but all of them have their own pros and cons to consider before making a commitment. Popular business social network LinkedIn is another platform that’s gaining traction in the marketplace and is a site that should be investigated for its viability to increase traffic. For proof of the potential strength of this site consider that Microsoft recently purchased LinkedIn for $26.2 billion. If you decide that you are going to choose one of the above options, you will need to take action to get customers to your site. Take advantage of social media sites and link back to your site or sale pages. Sites to consider are, Facebook, Instagram, Pinterest, and Twitter. Many of these sites have paid advertising programs that can be advantageous if done properly. Team Up. Partner with other businesses. Numerous strategies are possible including guest blogging, exchanging of lists, mutually beneficial promotions, and giveaways. Your relationship with other businesses will determine how much you will be able to do to drive traffic that will benefit all parties. Blogging. 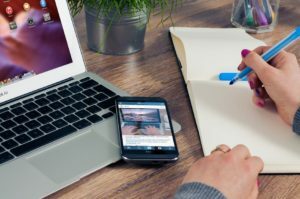 Blogging and guest blogging with links back to your site will also increase traffic as long as the content is relevant to what your company does. Consider Media Placements. One other tactic to consider is media placements. This is especially effective if you repost these articles to all of your other social media sites and websites. 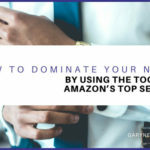 Regardless of how you respond to Amazon’s change in service, the suggestions above will also provide alternative channels to increase your business’s overall success. 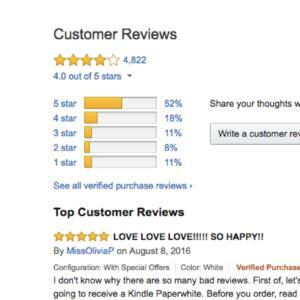 If you’re an Amazon seller that would like to drive up sales and increase reviews –here are some alternatives to incentivized reviews. What type of email campaign can I set up to help generate organic product reviews? Could I use a PPC or targeted advertising campaign to continue to drive sales? What strategies can I put in place to generate organic sales and reviews? What is my competition doing right now? Should I sell my product on another platform? Could I set up an ad campaign outside of the platform, to direct visitors back to the listing? How can I diversify traffic? When news of a game-changing policy or fork in the road scenario arrives –it’s important for entrepreneurs to be ready and able to adapt. Amazon’s policy change wasn’t the first, and it certainly isn’t the last time that a company will drop news that will force entrepreneurs to alter their course. Although Amazon’s changes have altered the way that many companies conduct business on Amazon, it’s important to maintain a long-term perspective. These changes were made in an attempt to preserve the integrity of the platform. By working toward keeping Amazon reviews trustworthy –a dependable way for buyers to make informed decisions, Amazon is making a stand as a place where people can go for unbiased and accurate reviews. 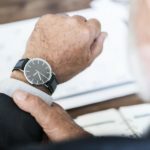 While it may cause short-term issues in the way that sellers gain product reviews, in the long term, this should help to keep Amazon a reputable place –one where customers will turn to time and time again. For the record, we have posted this blog for free, not at a discount and no exchange of money or other compensation has taken place between our readers and us. Please feel free to leave a biased or unbiased comment or review below at your own choosing.